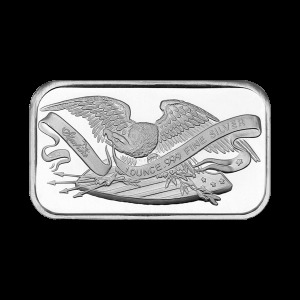 Acquire your 2019 Perth Mint 1 oz silver rectangular coin at the lowest price through our online store! 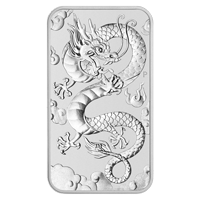 In Chinese lore the Dragon is seen as a symbol of immense strength wealth power and good fortune. 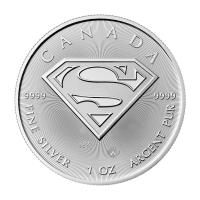 These bold characteristics are captured and displayed in this unique rectangular 1 oz 9999 pure silver coin. The reverse of the coin illustrates a determined dragon among the clouds chasing the pearl of wisdom. 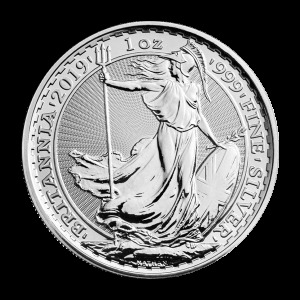 The obverse displays Jody Clark's modern effigy of Queen Elizabeth II, with vivid radial lines in the background. Above the effigy of the Queen is her name, and the country of issue, its 1 oz denomination and 9999 pure silver stamp. 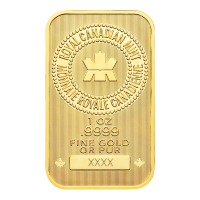 This uniquely rectangular coin has a limited mintage of only 200,000 world wide. 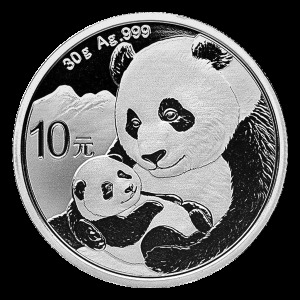 Stack your wealth in ounces with this bullion coin today! In multiples of 20 these coins will be shipped in a plastic tube. In multiples of 200 these coins will be shipped in a monster box. Obverse Jody Clark's effigy of Queen Elizabeth II as well as the year, and denomination. Reverse A dragon chasing the pearl of wisdom. Jody Clark's effigy of Queen Elizabeth II as well as the year, and denomination. A dragon chasing the pearl of wisdom. 1 oz 2019 Perth Mint Dragon Silver Rectangular Coin Acquire your 2019 Perth Mint 1 oz silver rectangular coin at the lowest price through our online store! In Chinese lore the Dragon is seen as a symbol of immense strength wealth power and good fortune. 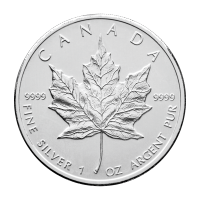 These bold characteristics are captured and displayed in this unique rectangular 1 oz 9999 pure silver coin. The reverse of the coin illustrates a determined dragon among the clouds chasing the pearl of wisdom. The obverse displays Jody Clark's modern effigy of Queen Elizabeth II, with vivid radial lines in the background. Above the effigy of the Queen is her name, and the country of issue, its 1 oz denomination and 9999 pure silver stamp. 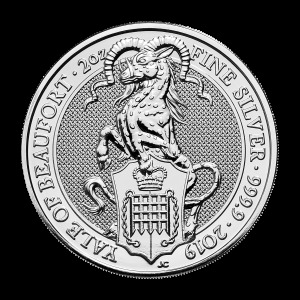 This uniquely rectangular coin has a limited mintage of only 200,000 world wide. 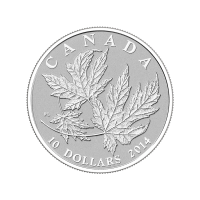 Stack your wealth in ounces with this bullion coin today!